Emporio Armani is expanding its (Product) Red campaign offerings for the summer, announcing plans to distribute fragrances and jewelry in addition to such products as swimwear, beach towels, tank tops, Bermuda shorts, and baseball caps. In addition, the collaboration with the Ghanaian contemporary artist Owusu-Ankomah, whose drawings are featured on the clothing, accessories, and packaging of the Emporio Armani (Product) Red offerings, has been continued and for the upcoming season will feature five new symboles: Five, Human, Worlds, Future, Uplifted, and Four Corners of the World. 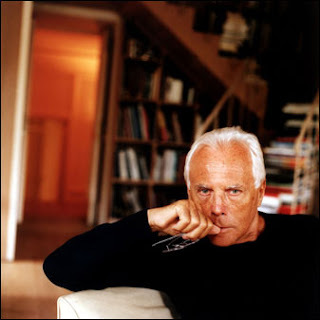 Giorgio Armani was a pioneer in his support of (Product) Red, created by Bono and Bobby Shriver for The Global Fund, since its launch at the Davos World Economic Forum in January 2006.